More than five years after facelift surgery, three-fourths of patients still look younger than they did before surgery, according to a long-term follow-up study in the December issue of Plastic and Reconstructive Surgery®, the official medical journal of the American Society of Plastic Surgeons (ASPS). All three sets of assessments showed significant improvement, although with some loss of improvement in the years since facelift surgery. On objective measurements, the improvement in jowl height decreased by about 20 percent during follow-up. 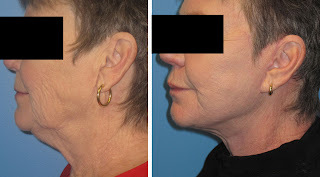 There angle of the chin to neck showed even greater reduction, with 70 percent of the improvement being lost. Subjective assessments also showed lasting improvement in key areas regarded as signs of facial aging-including lines running from the nose to mouth and mouth to chin. These improvements showed little deterioration in the years since surgery. Again, the loss of improvement appeared greatest in the neck area. The overall subjective assessments strengthened the impression of general improvement. “Scoring suggested that 76 percent of patients will still look younger 5½ years after a facelift than they did prior to the facelift,” Drs. Jones and Lo write. The study was designed to help plastic surgeons answer one of the most common questions asked by patients considering facial rejuvenation: ‘How long will a facelift last?’ Drs. Jones and Lo write, “The longevity of facelift surgery is a key question that has not been adequately addressed by previous studies.” Their study is one of the first to use rigorous, standardized assessments to evaluate the long-term follow-up results.